Serving those looking for a low-cost solution for their mapping and GIS needs, Saylor Mapping isn't offering another expensive software package that uses proprietary data storage. Contrary to typical business practices, we set up our clients with free and open source software tools that get the job done easily. This keeps overall costs low and doesn't lock up your data should you decide to change how you interface with it. If necessary, we can put you in touch with subterranean scanning experts as well. After studying the current conventions already in place by the client, we then begin to digitize the cemetery plots and meticulously enter the data for use within your existing parameters. Once that's completed, we will meet for initial feedback. We'll make adjustments and corrections as necessary, then produce map pages for each burial in the cemetery. This is useful for sending along to inquiring citizens and cataloging at your local library and online. We train our clients on how to update and maintain their data and provide easy-to-read step-by-step documentation specific to their application. The photographs, map pages, and online resources are integrated into the map program for easy reference. We currently promote and train our clients on how to use QGIS to manage their records on a local level, however we are currently developing a workflow that will take advantage of the OpenGeo Suite from Boundless to maintain records off-site and redundantly to make your authoritative data easily accessible and up-to-date. In 2015, we gained our GeoServer certification through Boundless. Current customer focus is on cemeteries, however our experience spans many industries and needs. If you have a mapping or GIS need, contact us; we are interested in hearing from you. Nathan Saylor has been serving GIS needs since 2006. He began his professional career at the Lima/Allen County Regional Planning Commission, then went on to Findlay, Ohio doing work for the pipeline industry as well as designing and implementing GIS for small utilities and mapping for wetlands research. Nathan later became involved at the education level being a member of the Rhodes State College GIS Advisory Committee. He also designed an online curriculum for Northwest State Community College. He has also mentored at local GIS Day events and has given presentations to local schools about practical geography. In 2011, Nathan began his position as the Hardin County GIS Coordinator. His experience there has given him the opportunity to meet a variety of needs. In this capacity, he continues to map for community events, law enforcement, 9-1-1, the prosecutor's office, fire departments, economic development, and many other GIS needs throughout the county. His online portfolio can be found here. 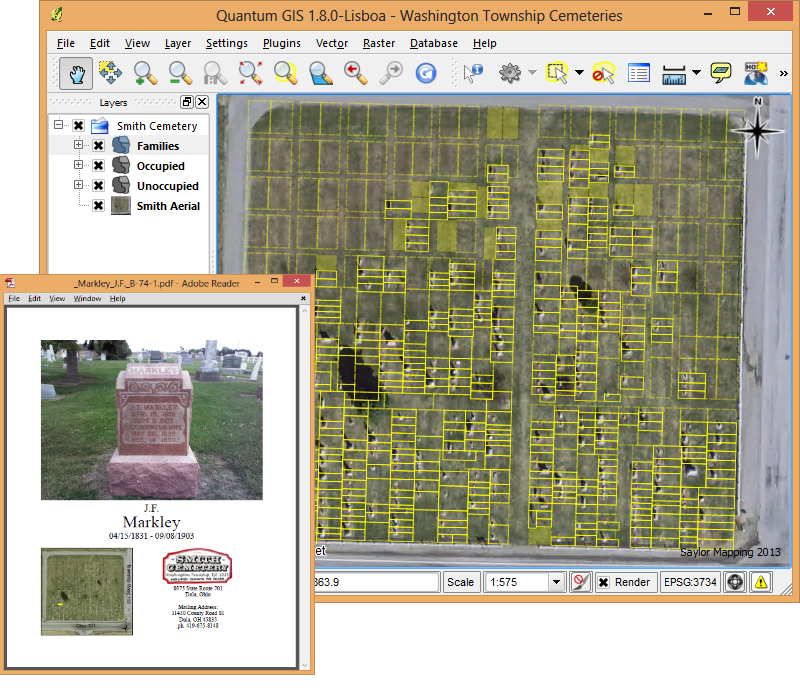 Saylor Mapping was started in early 2013 to answer the growing need for GIS particularly as to how it applies for the local cemeteries. 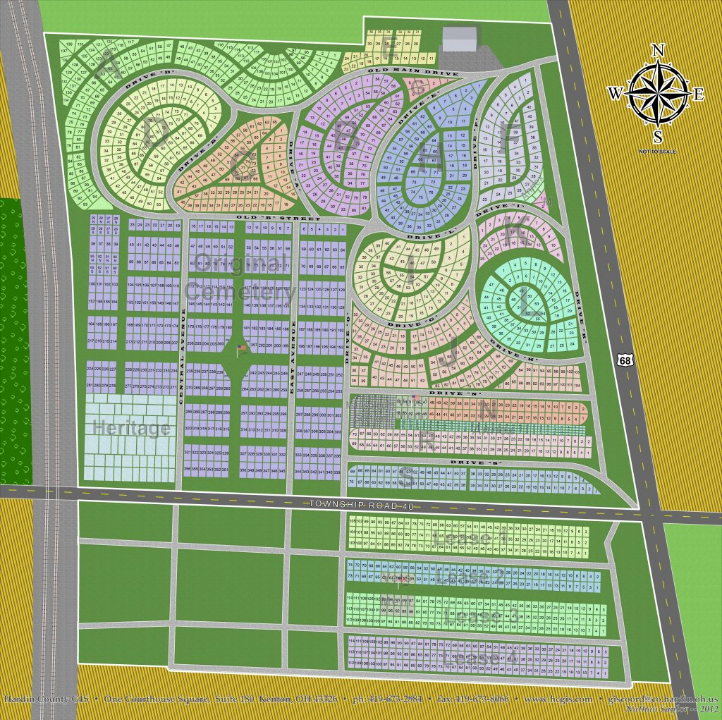 An information page is created for each plot. Easy to print or email. It's easy to point, click, and bring up personal information such as name, life span, and cemetery location. Display map to be posted on site alongside a name index. Other maps created by Nathan Saylor can be found at tiny.cc/gisn8maps.